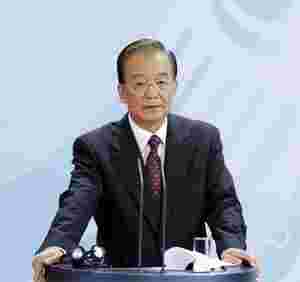 Beijing: Chinese Premier Wen Jiabao told banks to lend more to small firms and tolerate high levels of bad debt from them, while demanding a crackdown on high-interest, informal lending to cash-strapped private businesses, official media reported on Wednesday. Wen did not mention fleeing businessmen in his published remarks, but the problem appeared to lie behind his calls for regulators to ensure banks lend more to small and medium-sized firms and also get a tighter grip on informal credit. “Small and medium-sized businesses play an irreplaceable role in expanding employment and promoting growth," said Wen, according to a Xinhua news agency account of his visit to Zhejiang on Monday and Tuesday. The government must “improve incentives and barriers to encourage all kinds of financial institutions to provide better financial services to small businesses," said Wen, who added that there should be clear demands for the amount of bank credit that goes to such smaller businesses. “Raise the level of tolerance of non-performng loans from small and medium-sized enterprises," Wen also said. Wen’s demand that banks do more to help smaller private businesses underscored the growing sensitivity of tight credit controls and Chinese banks’ general preference to lend to bigger firms, especially state-owned ones. Many cash-strapped firms have been unable to borrow from banks during a credit clampdown by Beijing, and some have turned to China’s underground lending market, which pools money from individuals and firms and lends it out at annual interest rates as high as 100%. Such high informal rates, more than 15 times China’s benchmark lending rates, have pushed some firms beyond the limit, especially in Zhejiang province, a hub of private enterprise. According to local media reports, the private lending rates, set at between 6-10% a month, have driven some smaller property developers into bankruptcy and triggered a string of Chinese entrepreneurs to go into hiding to avoid repaying loans. Outstanding private loans in Wenzhou, a coastal business city in Zhejiang, rose to ¥110 billion ($17.2 billion) this year, up from 80 billion last year, according to Chinese central bank estimates. Wen also demanded tighter controls on informal lending. But the premier stopped short of outright condemning all non-bank loans. He told officials to “effectively prevent financial risks," said Xinhua. “We must strengthen oversight of private lending, and leading it into the daylight so that it can develop in a regulated way and play its positive role," said Wen. “Vigorously clean up to restore financial order, and take effective measures to stamp out the trend towards usurious loans, and use the law to attack illegal fund collection," he also said.